Besant Technologies provides Master program in DevOps training and certification to professionals and corporates on Deployment and automation using DevOps tools – Linux, AWS, Python, Ansible, GIT, Jenkins, and Docker. DevOps Foundation is basic level DevOps certification course providing essential knowledge on DevOps core concepts. DevOps Foundation syllabus is designed with high-level content with concepts of Continous Integration, Continous Deliver, and Continous Deployment. DevOps Certification Training Course will prepare you for a career in DevOps, the fast-growing field that bridges the gap between software developers and operations. You’ll become an expert in the principles of continuous development and deployment, automation of configuration management, inter-team collaboration and IT service agility, using modern DevOps tools such as Linux, AWS, Python, Ansible, GIT, Jenkins, and Docker. 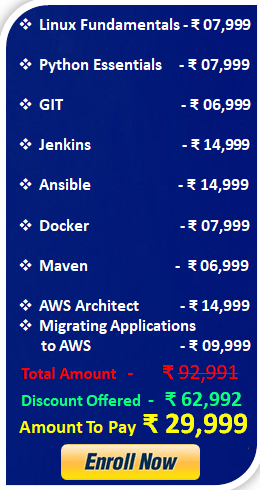 DevOps jobs are highly paid and in great demand, so start on your path today. Running commands in a container. 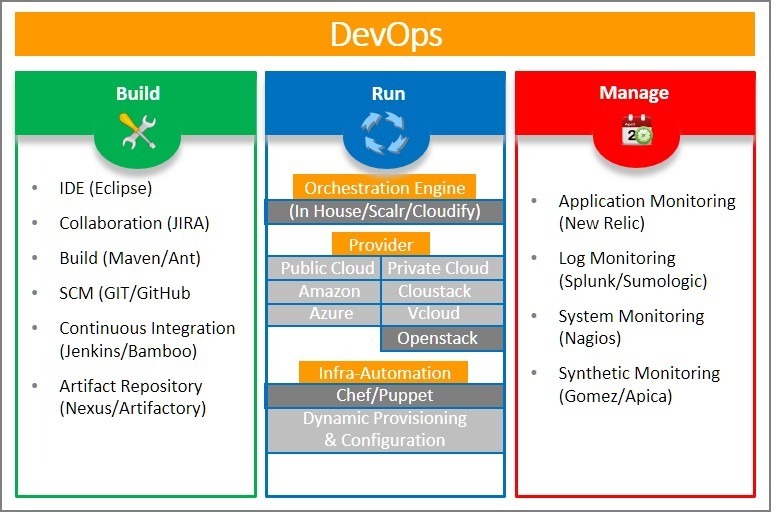 DevOps is the name for this transformative change happening across all global enterprises today. DevOps as Business Enablers. The developers’ job is to create new features to the company’s software and the operational team’s job is to ensure that the services are running stable and fast without outages. List the essential DevOps tools? How is DevOps helpful to developers?